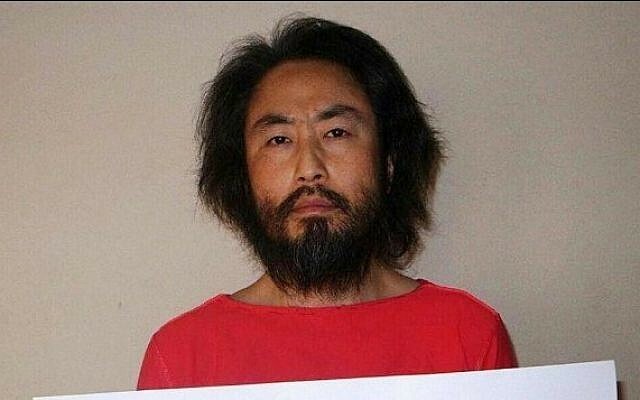 A man believed to be Japanese freelance journalist Jumpei Yasuda, who went missing in Syria three years ago, has been released, the Japanese government said Tuesday. “Given various information, we believe that the person is highly likely to be Mr. Yasuda,” Chief Cabinet Secretary Yoshihide Suga said. Japanese officials are working to confirm Yasuda’s identity after receiving information from Qatar that Yasuda is at an immigration facility in Antakya, Turkey, near the Syrian border. According to Suga, Yasuda is being protected by Turkish authorities until his identity is confirmed. His wife has also been notified. Yasuda originally went missing in 2015 after entering Syria from Turkey to report on Syria’s civil war. He was reportedly held by the al-Qaeda-linked militant group Hayat Tahrir al-Sham, a group formerly part of the al-Nusra Front. The group demanded $10 million in ransom for Yasuda’s release. Whether or not any ransom payments were made to free Yasuda remains unclear, although the Japanese government has refused to pay the ransoms of hostages in the past. Yasuda has made rare appearances in the media while held hostage over the last three years. At the time, the Committee to Protect Journalists condemned Yasuda’s capture and urged for his immediate release. The International Federation of Journalists issued similar sentiments, stressing the bravery of Yasuda in risking his life to document the Syrian conflict. Bosnia and Herzegovina: Forever Divided Nation?